Tong tong tong chiang! Is your instagame strong? 📸 Cause Tune Protect and MY are giving you a chance to win up to RM888! Get creative this Chinese New Year and show us all your beautiful snaps capturing the essence of Chinese New Year on Instagram! Don your stunning new year outfit, snap your favourite child (we won’t tell 😉) or show us how you prepare for Chinese New Year! Don’t forget to pair your pictures with an equally creative caption. The 20 best picture and caption combinations will win RM288. 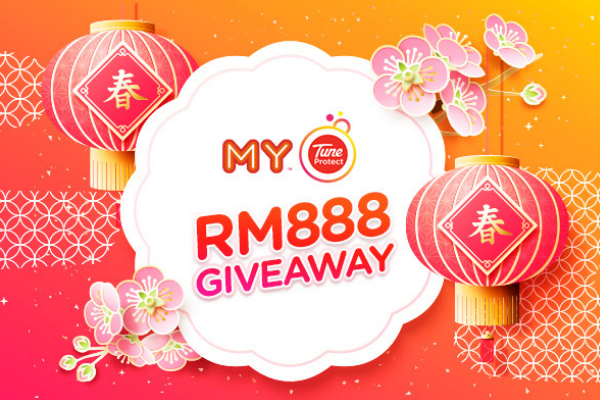 You can even increase your winnings up to RM888 if you’re articulate enough. All you have to do when MY calls you back is recite 6 new year wishes in Mandarin within 15 seconds for your chance to win an additional RM600. Each wish is worth RM100. Interested? Get snapping and tag us at #MYTUNEPROTECT for us to find you. Contest ends on 8 February, 12pm so don’t forget to get them all uploaded before the deadline closes! Have a prosperous Chinese New Year! HUAT AH! Feeling Unwell On Your Holiday? Talk To DoctorOnCall! Get a complimentary baggage voucher from Thai AirAsia! 7 Awesome Things You Can Do With Your ROKKI Internet Connection On Your Next AirAsia Flight!